Light control is an imperative skill for any professional photographer or videographer who needs quality lighting control all the time. 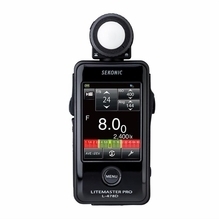 Sekonic light meters help you achieve the perfect exposure in any environment with various high-tech tools, including light meters, color meters and illuminometers. The appropriate meter can help you save time and money by getting it right up front instead of in post-production, which can be costly. 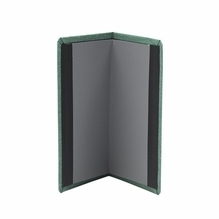 BarnDoor Lighting Outfitters also offers free shipping on select Sekonic meters and thousands of other products, which makes shopping with BarnDoor Lighting Outfitters an excellent value. 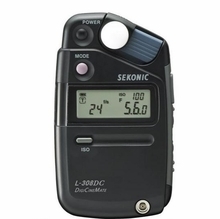 Explore compact light meters for digital cinematography and still photography. 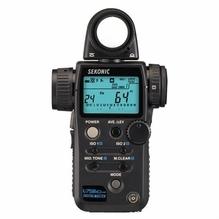 Sekonic meters are equipped with smart features, such as customized displays and precise reading technologies. Some provide independent programming of flash, ambient, incident and reflected measuring modes that can be easily customized to your digital camera or type of film for total versatility. BarnDoor Lighting has two decades of experience assisting production professionals with finding the right light meters, so we're happy to help via phone at 1-888-276-3667 or by e-mail at info@barndoorlighting.com.